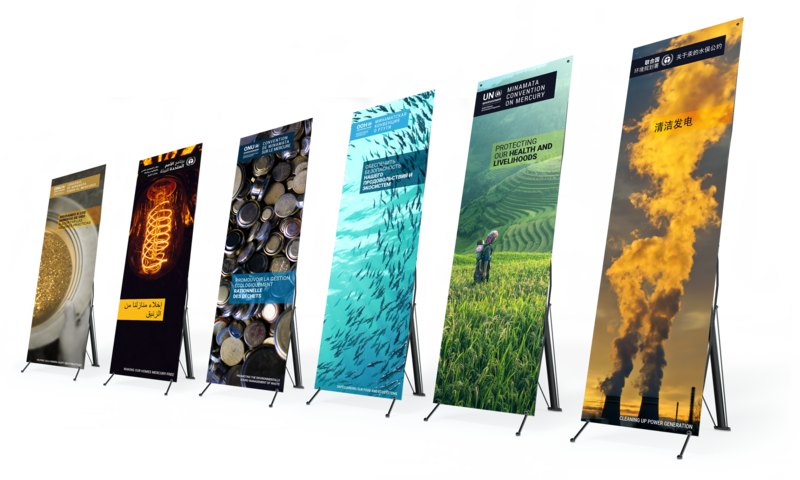 The interim Secretariat of the Minamata Convention, hosted by the United Nations Environment Programme, required a full-service agency to develop branding and a range of high-quality communications to mark the celebration of this new global environmental convention. The goal was specifically to utilise the first meeting of its Conference of Parties as an authoritative celebration, public outreach, and awareness raising event. This meeting was hosted in Geneva by the Swiss Government and brought high-level dignitaries and government representatives together under the banner “Making Mercury History”. To bring maximum awareness to the Minamata Convention, the COP1 meeting provided critical communication opportunities for the Convention both for immediate awareness impact, and more importantly, to solidify the long-term dedication to achieve universal ratification, and deep support to implement its provisions. We started by creating a strong and original brand concept that encapsulated all of the history of mercury, it’s cultural references, landmark policy decisions, and its journey toward the future. This concept of the golden fish was the backbone of the mercury story that was told throughout the conference via digital channels, video, animation, projection mapping, and multiple levels of print collateral. We created the new COP1 website to showcase all of the conference documents, materials, and event information in one place, with a seamless user experience. Additionally, we designed the live event around three key themes: Water, Land, and Air, creating distinctive, messaged event materials to transform the CICG event space. 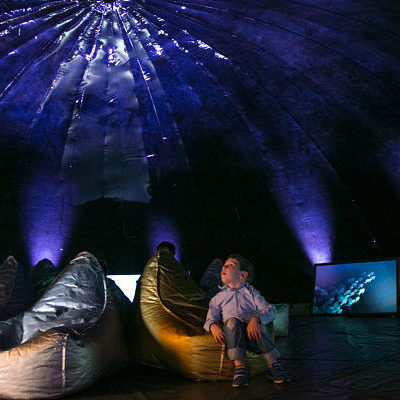 Media Frontier managed the event coordination, liaising with suppliers, overseeing installation and deconstruction of a custom designed Mercury bubble installation, and designed and created all printed collateral and event giveaways. We created three original videos that were shown both during the convention and also on screens inside the mercury bubble installation. Video 1: Mercury Treaty – What, how, why gives viewers insight into the ways mercury is embedded in our lives, and what’s being done to change this. Video 2: Mercury Treaty – Swiss President Curtain Raiser brings the golden fish logo to life, illustrating the inspiration and the drive and the collaboration that the Mercury Treaty is founded on. 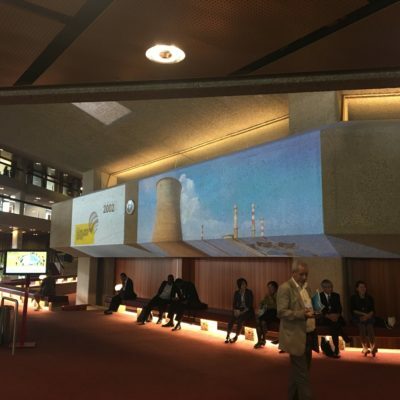 Video 3: Mercury Treaty – Timeline incorporated images, maps, facts, and the golden fish in an animated journey that told the story of over 50 years of challenging work to change the global perspective on mercury, and the accomplishments of the activities leading to the Convention. The swimming fish represents progress, positivity, and the ongoing momentum of the Minamata Convention on Mercury. The well documented history of Japanese paintings of ‘golden fish’ created a respectful and cultural link to Minamata and Japan. Marine species are also a gateway for mercury into all food chains. The silver motif within the fish represents a visual ‘flash’ of mercury, which is ‘dissolving’ as the dominant gold motif moves into the future, representing the positive progress of the convention. The gold creates a subtle reference to artisanal gold mining and the global gold sector, but gold is also a universal colour of celebration. In this sense, the visual identity supports the important sense of success of the decades of work leading to COP1. The golden fish branding was visible across the entire conference on banners, podiums, posters, wall projections, and in original high-end video content. It was important for the conference to create an atmosphere that encouraged conversation outside of the formal discussions. Inside the conference ocean images and the mercury fish branding were projected onto the walls of the entrance area and in the conference rooms. 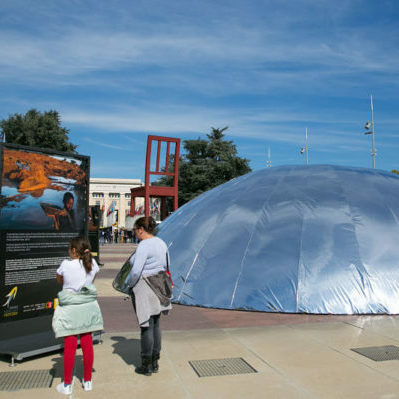 For the public, Media Frontier coordinated the design and setup of a huge drop of “Mercury” with artists in Berlin creating an iconic installation which was installed in the UN’s Place des Nations and visited by thousands of members of the public during the event. The golden fish branding concept extended to all digital and printed collateral related to the event. Media Frontier adapted the branding for and coordinated printing of folders, letterhead, posters, t-shirts, and the treaty itself, which was translated into six languages. We also designed the watch box and the chocolate wrapper for the conference giveaways.